The organic turmeric in our caffeine-free Rooibos tea is for those who wish to stay forever young. Brain function is improved with a regular daily regimen of this tea, and its anti-inflammatory properties are well known. 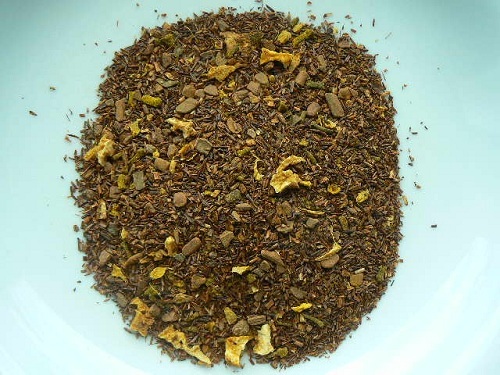 The 100% certified organic chai-spiced character is unusual, and the tea brews a rich, amber color.